Two weeks away from the bush and so much has changed! Winter is truly upon us, with the vegetation getting drier, the nights colder, and the migratory birds heading back north. 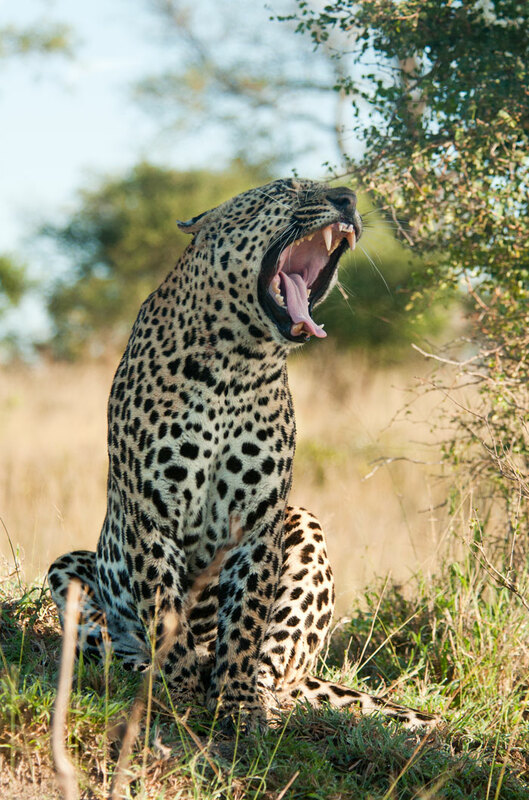 As is the case most of the time after Freddy and I have been on leave, we are very keen to see our feline friends, and this Week in Pictures certainly reflects that with some fantastic sightings from the Mashaba Female, Marthly Male and Majingilane Males. Enjoy this week in pictures..
Winter is coming and the bush is getting dry! 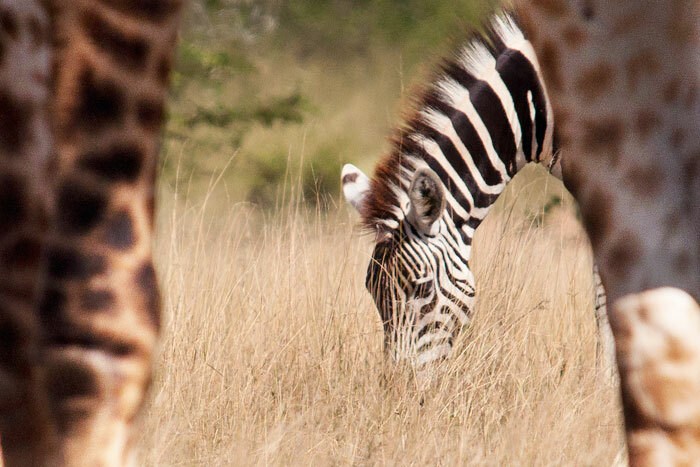 Through the legs of a giraffe, a zebra grazes on the remainder of the nutritious summer grass which is now fading to yellow. 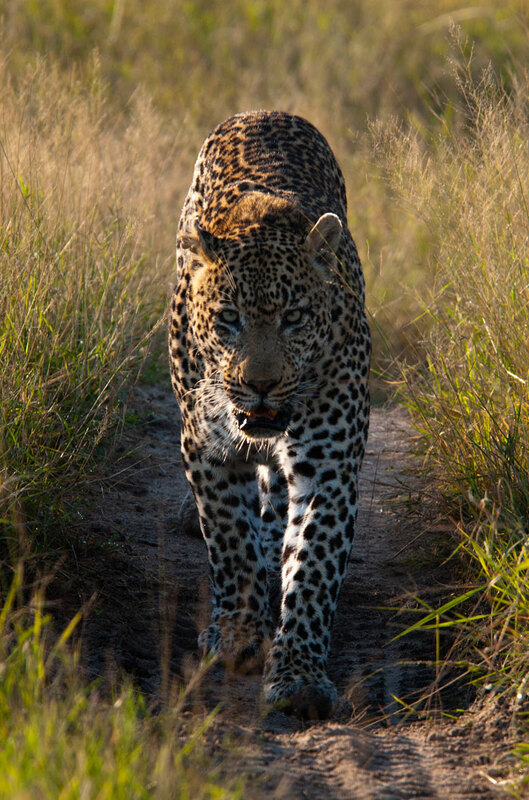 The Marthly Male patrols his territory, which seems to be increasingly further south of the Sand River. 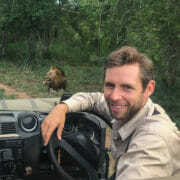 When he was found on this morning, he was having a face-off with the Camp Pan Male! 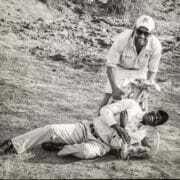 Fortunately for both, they seemed to agree that a few growls was all that was necessary to remind one another of their dominant status in adjacent areas at Londolozi. 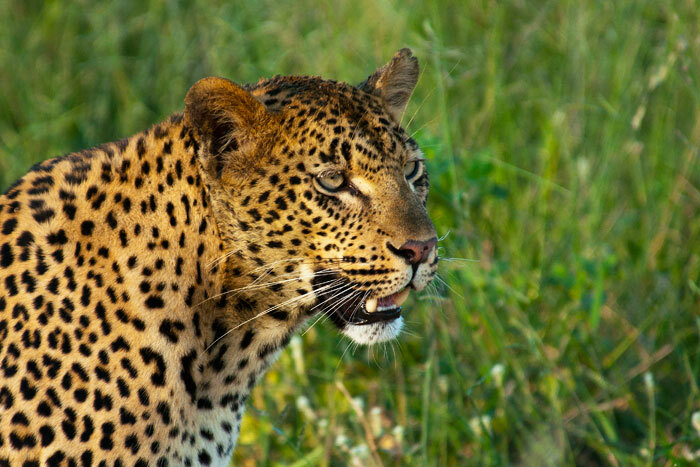 Nearby, an impala spots the leopard and shouts an alarm. Quite often, if the alarming prey realizes the predator is not in a 'hunting' mode, they will stay close to the animal, even moving towards it, until it leaves the vicinity. The theory behind this behaviour is that a predator you can see is better than one you can't see, and that all the alarming may irritate the predator enough to leave the area. A Sparta Pride lioness walks towards a water hole after feeding on a wildebeest she and her daughter had killed the night before. 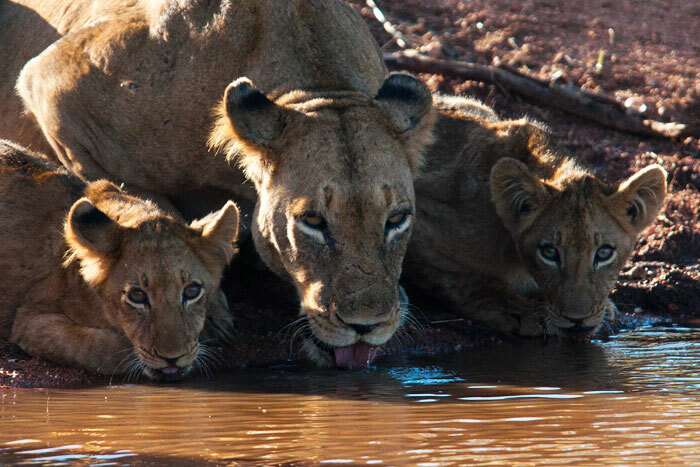 Her daughter was already there, drinking, flanked by her two cubs. They were all very full from the feast, great news especially for the growing cubs! 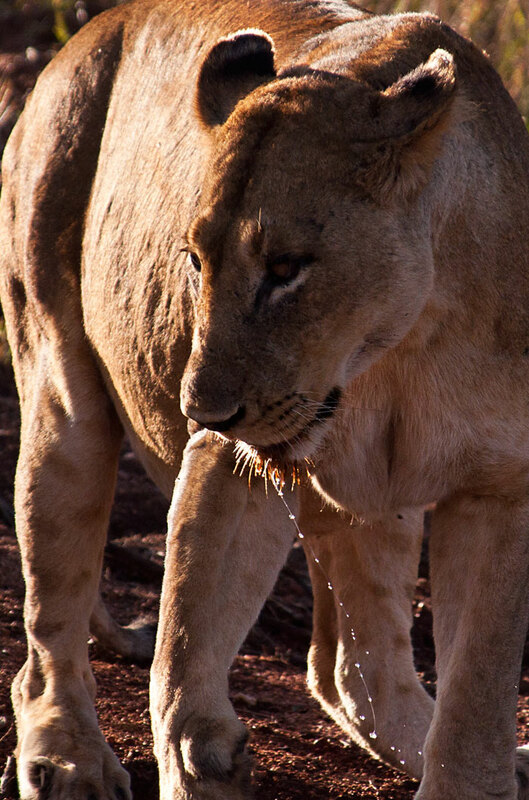 The lioness turns to follow her cubs after drinking. 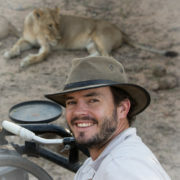 The rest of the Sparta Pride has not been seen very often, and it is speculated that at least two of them are caring for newborn cubs in hidden locations. 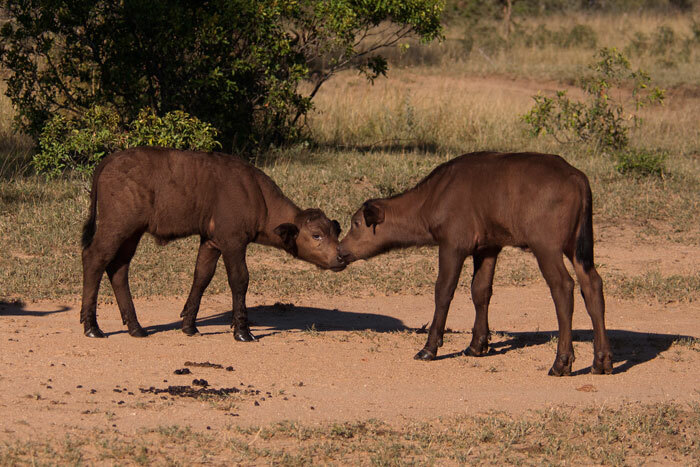 Two buffalo calves greet one another. The large herd of buffalo has been seen frequently on Londolozi this week, and the peak calving period has just passed, meaning lots of little ones around! At dusk, the Tamboti female looks across a clearing at some guinea fowl in the distance. Realizing the guinea fowl were not aware of her presence, she then started stalking them more seriously. After this photo was taken, she disappeared into some tall grass and slowly creeped towards them. After an explosion of guinea fowl from the tall grass, we rushed over to see the outcome of her apparent attempt. She had been successful! She then plucked out the feathers - some of which got stuck in her teeth - and consumed her prize, within an hour. 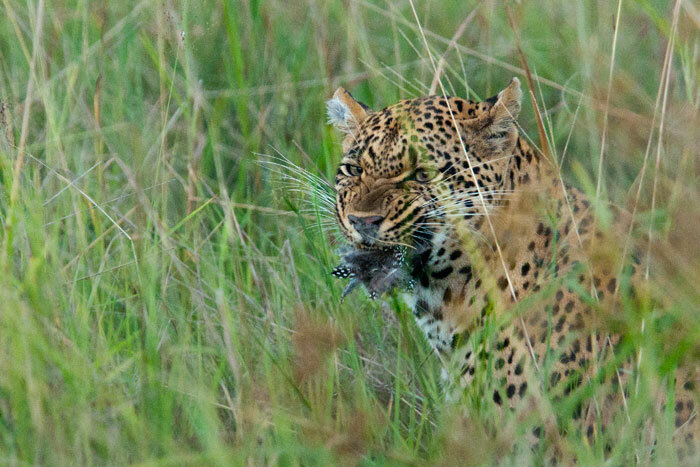 The perfect light meal for a leopard! 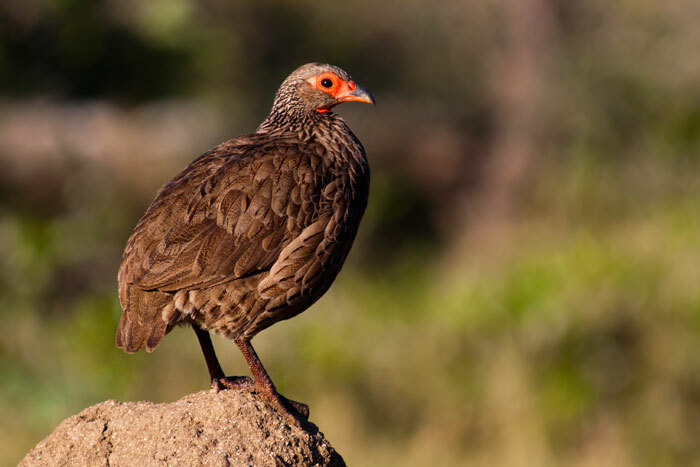 A Swainson's francolin catches the early morning rays atop a small termite mound. 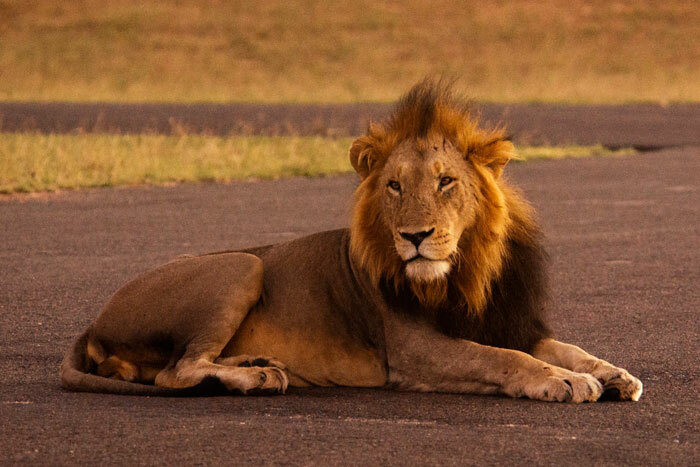 One of the Majingalane Males lies on the airstrip in the early evening. 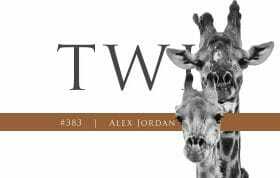 He had been searching for the other three males in his coalition, to no avail. He even tried roaring to contact them, but they did not answer. 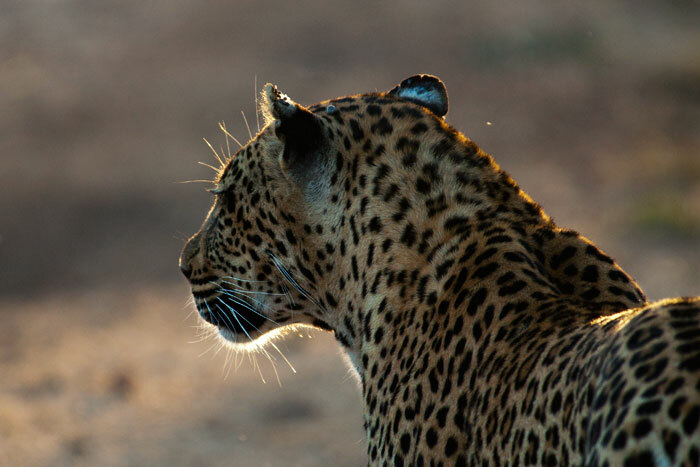 The Coalition has spent most of the past week on Londolozi, both by themselves as well as meeting up with the Sparta and Tsalala Prides of lionesses. 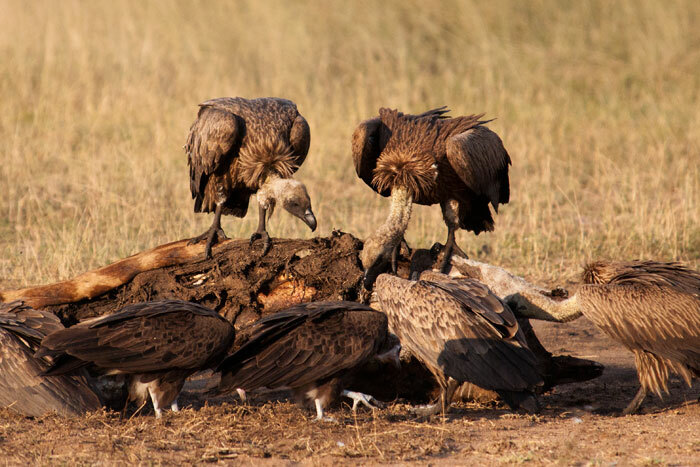 Some White-backed and Hooded vultures pick at the remains of a giraffe carcass, which was killed by the Sparta Pride a few weeks back. I'm finding these birds increasingly beautiful as well as entertaining to watch - the dynamics and hierarchy amongst this 'wake' of vultures was interesting as they fought for the smelly scraps. Every creature has their niche in the bush, glamorous or not! The Dudley Riverbank 5:5 Male made an appearance this week. 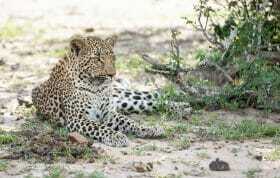 This leopard holds the territory to the east of Londolozi so we do not get to see him regularly. I have been trying to get a photo which displays his battle wounds from his epic fight with the Marthly Male a few months back, and finally I did - you can see the piece of his lip that was torn away, as well as his torn right ear. The Dudley Riverbank 5:5 Male yawns, displaying his impressive canines! 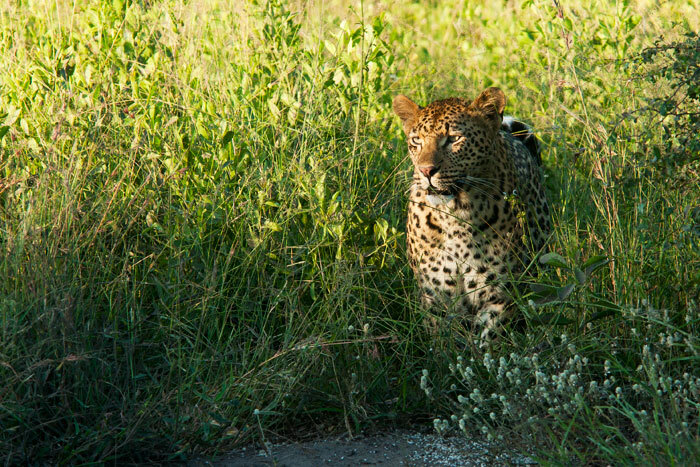 On the morning he visited us, there were many leopards and lions calling around Londolozi, including himself. 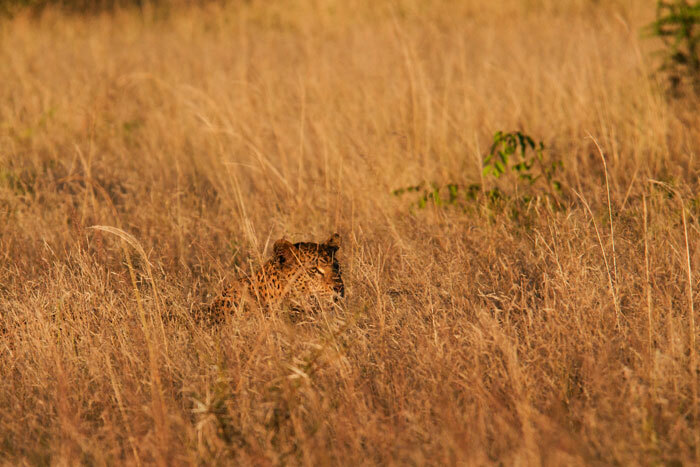 Here he was listening to a female leopard calling in the distance. He seemed to be taking stock of all the activity, and eventually got up and walked back east to his territory, a bit nervously. 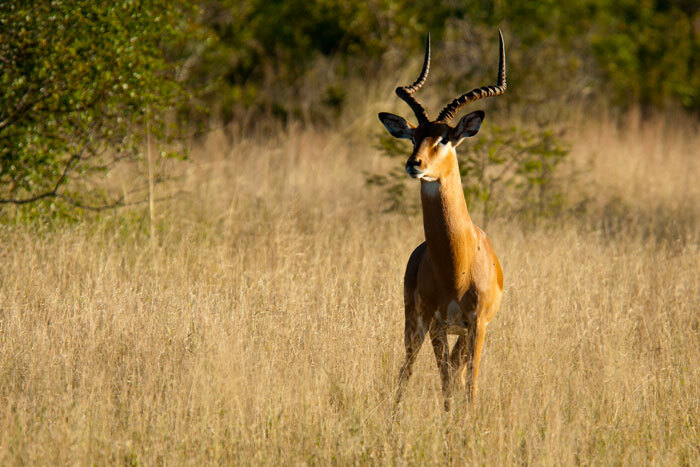 The Vomba Young Female - recently renamed the Mashaba Female - stalks impala from the tall grass. 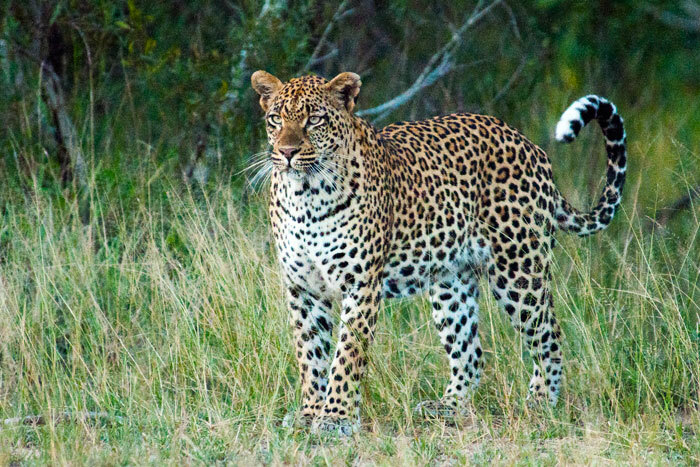 Even though this photo does not do this beautiful leopard justice, it is interesting to see how these animals use their environment to help them in hunting. She lost interest in the impala and moved on to greener grass... literally! She made a dramatic appearance as she finally stepped out into the open, showcasing her good looks. When she came a bit closer, we could see she had been rolling in buffalo dung (the brown on the top of her head). 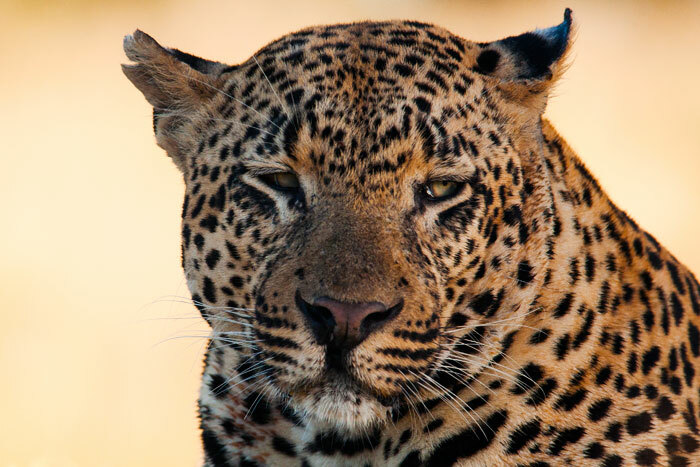 But even buffalo dung can't make this leopard look ugly! Great week in pictures! You all were extremely busy by the looks of it. Beautiful pictures as always. Have a great weekend and a Happy Easter! Thank you so much for posting. 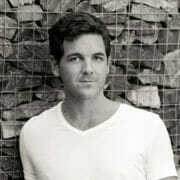 Love the pictures.. I look forward to seeing your updates every week. Love all the leopards, battle scars and all. absolutely fantastic pictures. in love completely with the mom & 2 lion cubs drinking from the pan. 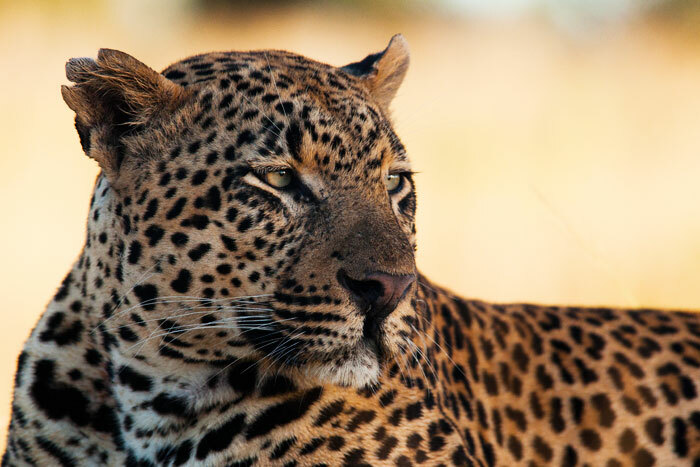 awesome leopard pics, too. THANK YOU for making my MONTH!! 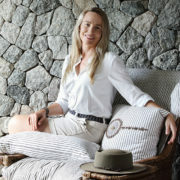 <3 south africa! You never disappoint us! 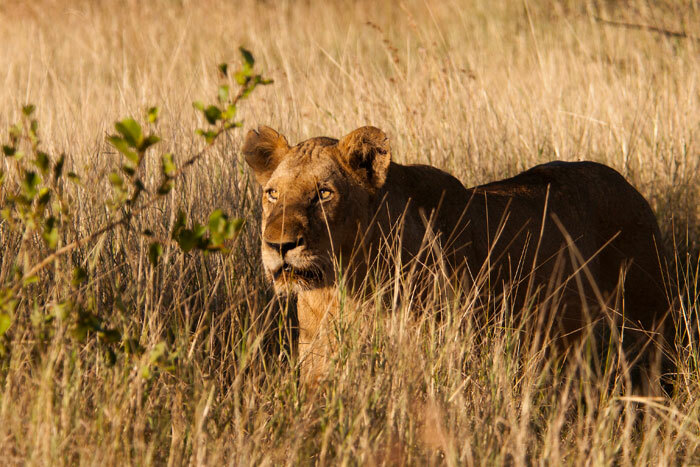 Can’t wait to get back to Londolozi in October. Happy Easter! Fantastic pictures.Completely in love with mom and two lion cubs drinking from pan.Fantastic leopard picture.Happy Easter!!!!! Hi Talley, I’ve missed your pictures over the last few weeks. These are beautiful photos, you should be very happy with them. I’m very jealous! Londolozi Photography,,, u have such amazing photo’s i luv them all , there all great capture’s of them animals I really thank u for sharing them. H AVE A GREAT HAPPY EASTER WEEKEND !!! So good to have you back Talley! Looking forward to going on drive with you soon. As usual, spectacular photos to go along with spectacular sightings! You have the magic touch!